This customized “As Seen In” Listing Brochure shows that you deliver the royal treatment when it comes to home advertising. Along with the usual property photos and info, this stylish brochure shows the elite global media where the listing has been promoted, including The New York Times, Wall Street Journal, Robb Report, and more. 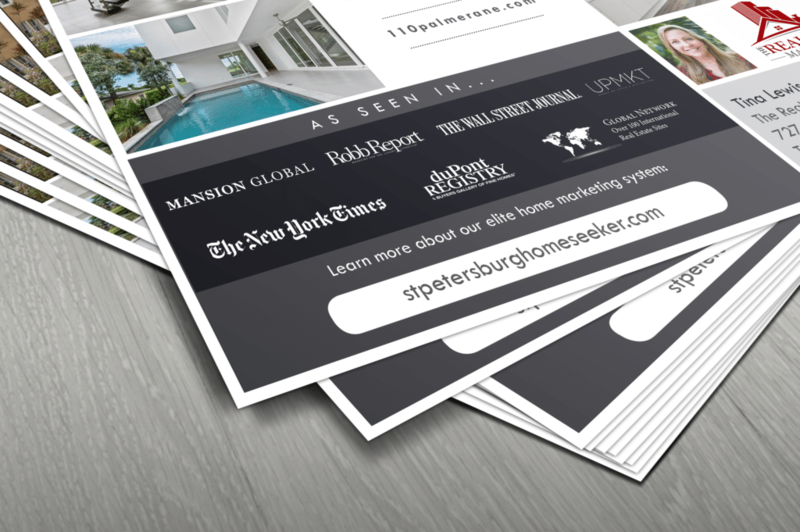 Put it in your flyer box or display it at your next open house so visitors learn all about your elite marketing program that’s light years ahead of the competition. They’ll be on the way to becoming your next clients!